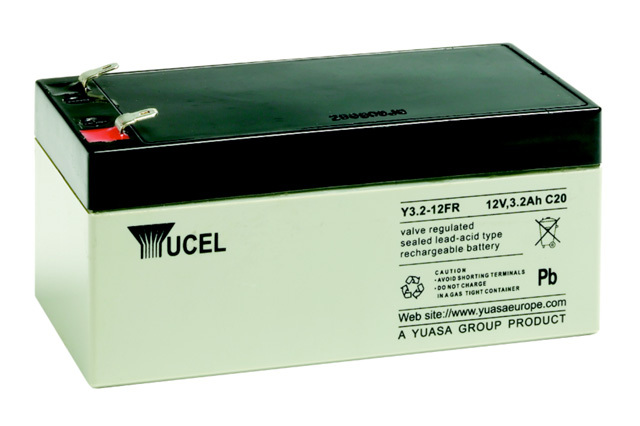 The Fiamm FG20341 is a rechargeable 12V 3.4Ah battery bloc offering a 5 year design life in float applications, and a sealed, maintenance free design for ease of installation and ongoing reliability. 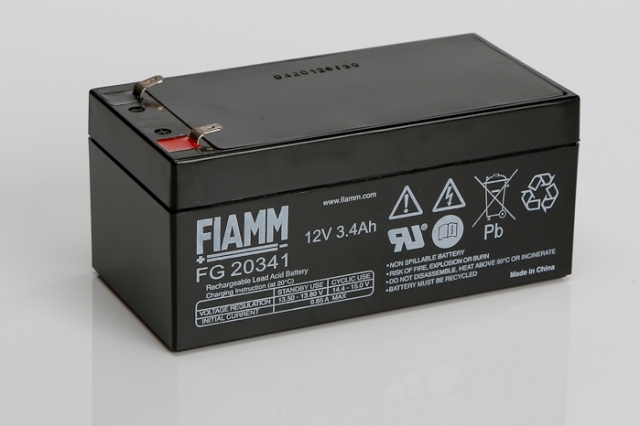 Suitable for a wide range of applications that require an independent power source, such as alarms, mobility equipment, emergency lighting, toys and leisure items to name just a few, the Fiamm FG20341 battery from Blue Box Batteries is an excellent general use battery. As with all the FG range from Fiamm, this battery is constructed to a high specification including a strong ABS plastic case material, sealed posts and reliable absorbed glass matt or ‘AGM’ separators providing a reliable product utilising a proven design format. The FG battery products are chosen by many major manufacturers looking for an high grade battery solution at a competitive price. Please contact us directly at Blue Box Batteries should you require assistance or advice, we are approved battery distributors for all major brands with a wealth of experience to offer. 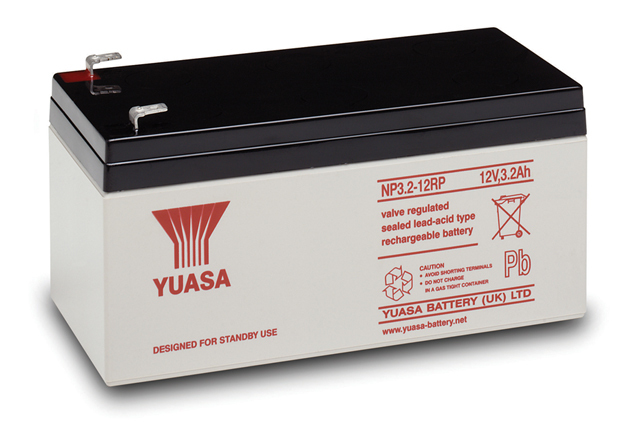 Enersys / Yuasa NP3.4-12, Powersonic PS-1230, DiaMec DM 12-3.3, Haze HZS12-3.3, Panasonic LC-R123R4P, Power Battery PM12-3.3, Topin TP12-3.3, Vision CP1232, CP1232S. Will this battery arrive to me fully charged? 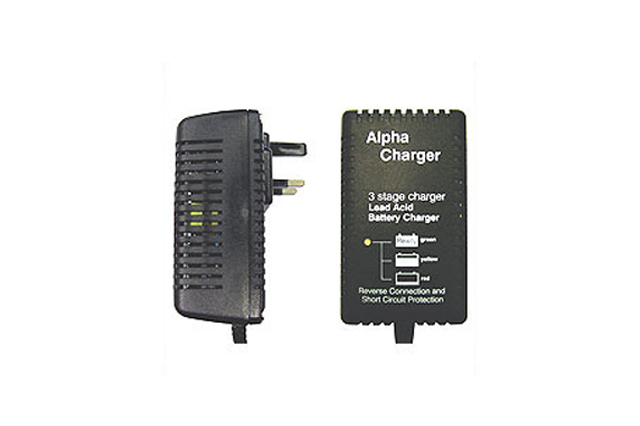 The Fiamm FG20341 battery will in 90-95% state of charge approximately, we recommend charging before use if possible. For additional information on charges please see the charger section on our website or contact us on 02381 789197 for advice.